harry y hermione. . HD Wallpaper and background images in the harry y hermione club tagged: harmony harry potter hermione granger hermione and harry. 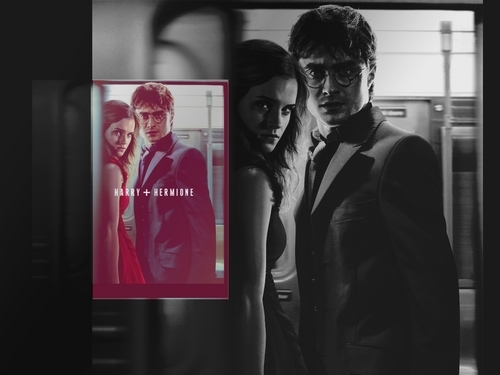 This harry y hermione wallpaper might contain traje de negocios, juego de negocio, signo, cartel, texto, pizarra, and letrero.